We recently broke down the four main online streaming and rental services Hulu Plus vs. iTunes vs. Netflix vs. Amazon Instant Video: Which Is Best? 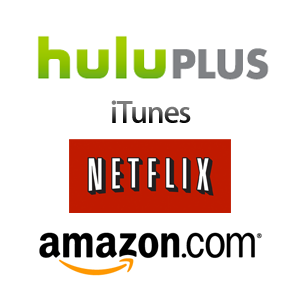 Hulu Plus vs. iTunes vs. Netflix vs. Amazon Instant Video: Which Is Best? Hulu. iTunes. Netflix. Amazon Instant Video. The lifeblood of online cinema and television. The new wave of home media. The providers of endless entertainment in which pants are not necessarily required. They are the contenders... Read More —Netflix, Amazon Instant Video, Hulu, and iTunes—to find out which service offers the best features for your buck. Based on selection, price, interface, third party devices and quality – we came to the conclusion that Netflix is one of the most well-rounded video streaming services you’re going to find. That said, not every single TV show or movie is available on Netflix. Still having a hard time deciding which of these services is right for you? One of the most important factors to consider when it comes to making this decision is the first criteria we used: the selection. Rather than search each service one by one to see if it has the movies or TV shows you like, with the following third party sites, you can search all four (and quite a few more) in one go. If you’re going to stick with one service, it should be Hulu. With Hulu Basic, you get full access to Hulu’s entire library of on-demand TV shows, and with Hulu Live, you can stream more than 50 TV channels and watch them live. But if you’re signed up to multiple services, definitely use one of these sites to help you find content to watch. Can I Stream It searches: Netflix, Hulu, Amazon Play, Crackle, YouTube, Streampix and HitBliss for TV shows. In addition to these sites, it also searches Epix, Redbox Instant and Snagfilms for movies. You can search for both TV shows and movies on multiple sites to find out where to watch it. What’s cool about CISI is that it doesn’t limit itself only to searching for streaming movies available online, but also lets you know if the movie is available for digital or DVD rental and digital or DVD purchase. When you search for a film or TV show, it will let you know which sites it’s available on and how much a rental or purchase will cost. If you can’t find it on the service of your choice, you can set it up so that CISI will notify you once it is available. Watchily searches: Netflix, Redbox Instant, Amazon, iTunes, Hulu, HBO Go, Showtime Anytime, Cinemax Go, and Comcast XFINITY, and Vudu. Search results clearly label the costs — making it easy for you to rent or stream a film for the least amount possible. One of Watchily’s best features is the fact that it allows you to filter down results by price (free to $9.99 or less), by maximum length, by store, by content rating, and by genre. GoWatchIt searches: Fandango, Netflix, Redbox, Amazon, iTunes, VUDU, Hulu, YouTube, SnagFilms, Sundance Now, and Movies on Demand on Cable. 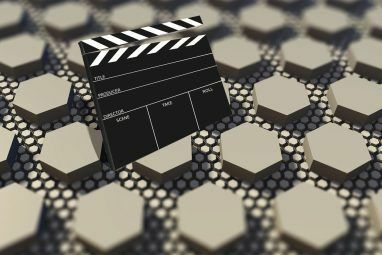 One of GoWatchIt’s best features is the fact that, not only can you search with a movie title, you can also search by names — so if there’s a particular actor you’re interested in watching, or a particular director whose work you want to see, you can do a search directly on GoWatchIt and see what you can watch online. One drawback to using GoWatchIt is that you can’t search for TV shows, as results are limited to movies, but on the plus side, you can take its search features with you on the go using the free iOS app [No Longer Available]. FindSeari.es searches: Netflix, Hulu, and iTunes. TV fans rejoice. FindSeri.es is a great website that makes it easy for you to find out where you can watch or buy your favorite TV shows online. The drawback? It’s limited only to residents of the US, Australia, Great Britain and Canada. Search results include both streaming, and digital rentals/purchases. Watch It Stream searches: Netflix, Hulu, Amazon Prime Instant, Vudu,and iTunes. 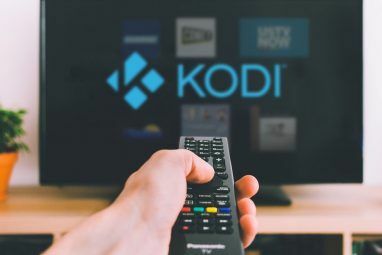 In addition to letting you know where you can stream your preferred movie or TV show, it will also let you know where it’s available for digital or DVD rental, and how much it’ll cost you. Again, using Watch It Stream lets you make sure you’re getting the best deal on a rental. If you want an even more convenient search function, you can opt for Watch It Stream’s Chrome extension. Which service you ultimately decide to use really does come down to personal preference, as well as which site you might already have a subscription for. At the end of the day, if you’re trying to search across as many services as possible and find the best deal for an online or DVD rental, Can I Stream It offers a wide variety of platforms to search and presents the search results in conveniently categorised way. Watchily comes a close second thanks to its support of cable channels like HBO. Which site do you prefer? Let us know in the comments. 4 Reasons to Switch to Managed WordPress Hosting for Your SiteHave You Forgotten About The Web Interfaces For Dropbox & Evernote? Most of these are useless anymore. In addition to the fact that none of them can search Netflix anymore, since Netflix killed the api. Canistreamit - does not show hulu content available when it is and shows content that is no longer available. Watchily - horribly out of date - says things aren't available when they are. Findseries - redirects to some clothing website. Watch It Stream - shut down 3 years ago. Pg, I agree. Most of these have gone by the wayside...although it seem the mobile app versions were/are updated more often than website and some apps had/have additional features over the websites. Looks like Canistreamit is plugging along albeit with accuracy and timing issues. There are other ones that have surfaced but still plagued by the same issues. I heard about the Netflix api thing too but I've found some of the sites like JustWatch and InstantWatcher (Netflix & Amazon only), are still getting current newly added title info for that provider somehow. I've compared a few to Netflix's site...just a few so could be flukes. I give them kudos for trying & some slack as they are dependent on the streamers themselves. Seems like every month providers are changing up things, networks are jumping on the OTT subscription services bandwagon (CBS, then HBO Now...other follow) and also putting out their own apps. Many moving targets. Cheers! Moreflicks.com allows you to search which country your movie or show can be found on if using the hola extension for netflix. This search engine also shows hulu, google play and a number of others... It's handy for when I need to see early releases of American movies! Thanks but Sorry to inform you that I browsed that website to try looking for some of my 'favourite' shows and it turns out the database there is pretty outdated [when compared with other examples]. And as far as I gathered, you talked about ‘Hola™’ which is a VPN-service and that's where the catch is (IMHO)! * It depends upon a VPN browser-plugin to show data tailored for your intended geography but that's not right, it should've the option [to do so] embedded in the 'portal'/website itself. * Moreover, what I found-out further was that it detects user's actual geography accurately (even when you're in ‘Incognito’/Private-Browsing mode) and what it does with that data is to lure visitors into subscribing a VPN-service. * And no, it's not ‘Hola™’ or any other well-known VPN-service [of that sort]!* ? *My issue/'problem' with VPN or any such Internet-traffic redirection technologies is that they slow-down the Internet-speed to significant levels. That's why, with 'the Grace of God', I never tried to use any VPN except for 1-2 services and the most-one used by me [and my immediate-family] was mainly for the purpose of data-compression. Remember, we aren't discussing about just select few, "First World" or even "Second World" nations, there are lot of places on our Planet where, either the infrastructure is not developed/good/maintained enough for ISPs to even offer speeds anywhere near to what they market, or the general-public don't have enough purchasing-power to afford any higher-speeds connection alongwith other expenditures. And remember, I'm only talking about "urban" areas. ? Here's something which may prove [to be] 'useful': I found 2 of websites which can provide data for most of the regions not supported by these sites (well, at least for ‘Netflix®’). 1 of them even provides up-to-date data for all of the geographies where ‘Netflix™’ is available alongwith thorough/'wholesome' data for some of the 'unexpected' geographies (because none of these portals consider such geographies "worthy" enough to bother about/bear the pain of providing detailed info for). While that's not directly related to the actual/main topic, but it might be 'useful' enough for those who don't wanna bear the 'frustration' of creating an account/ID followed by opting for Free-Trial by divulging/'giving-up' chargeable payment-instrument details everytime to just have a glimpse of their (streaming/SVOD/VOD services) catalogues. P.S. Hoping you would respond-adequately to my comment as I took 'great-pain' in 'crafting' this, Thanks to the […] 'smartness' of the ‘The Trio’ (Android® build (includes the 'main-thing' i.e. virtual-keyboard), mobile-browser and even my 'lovable' "smart"phone). ? I wish they had a search for websites that stream shows too, where I can watch it free via Chromecast or PlayLater without having to search every website. They also don't search PlayOn, which has the free version of Hulu.com, OWN, AMC, & other networks that don't pull up with these searches. For example, if I search CaniStreamIt for Suits season 4 episode 5, it only shows it for purchase on Amazon, yet I can get it from USANetwork.com or cast it to my TV for free using ChromeCast or PlayOn, or record it using PlayLater. So it's a shame that many people are still missing out on free episodes. I'm hoping that by spreading the word like this, it may help inform others and hopefully motivate these apps to add this into their searches. But are you from America [or relying [up]on 1 of those hacks]? ? For those in the UK, there is also Findable TV at http://findable.tv which searches all the popular UK sites like Netflix UK, NowTV, Blinkbox, BBC iPlayer, etc. Can I Stream It? seems to have stopped searching Hulu. Bummer. I was also tired of NOT being able to easily search Netflix's streaming movie library so, I became a Netflix developer and created my own site. It is called Mimmsy.com and is free. Right now I am doing testing, but even without a free account people can visit the site and perform searches by keywords, director, synopsis, rating, release year, and tons of other options. They can also browse by genre and have Mimmsy pick out 100 random titles-at-a-time to browse. The only thing having an account will do is allow people to add movies from our site direcrtly to their Netflix streaming account and organize their movie queue. If people want a free account and to become beta testers, they can email us from the site. What happened? Did it got shut-down? ? P.S. If so, then 'Why' and 'When'? Hoping you would 'be able' to reply me appropriately. ? Now, this (or should I write "These") are AWESOME! Thanks! I went to the gowatchit.com site and typed "The Godfather" into the search field. It gave me not only The Godfather, but everything with "Godfather" in it. Clicking on the more popular choice, the page told me it was available on DVD/Blu-Ray on Netflix (mail) and Amazon, On Demand and Online on iTunes, Vudu, and Amazon, and it has a handy little section that says, "Tell me when this movie is available on..." that tells me where I currently can't watch The Godfather but I might someday, such as Netflix (streaming), Redbox, cable On Demand, and even a handy Fandango button should the movie get another retrospective run in theaters. That pretty much rocks.